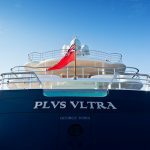 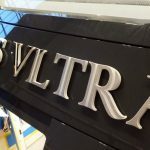 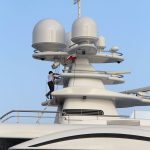 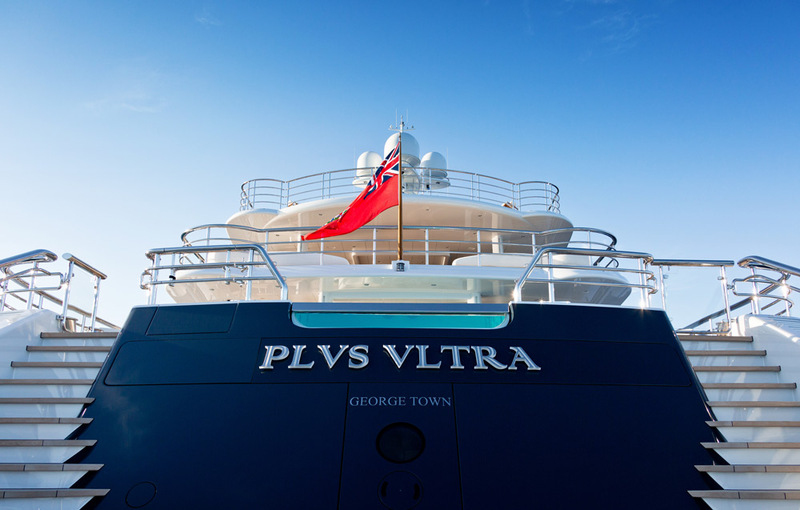 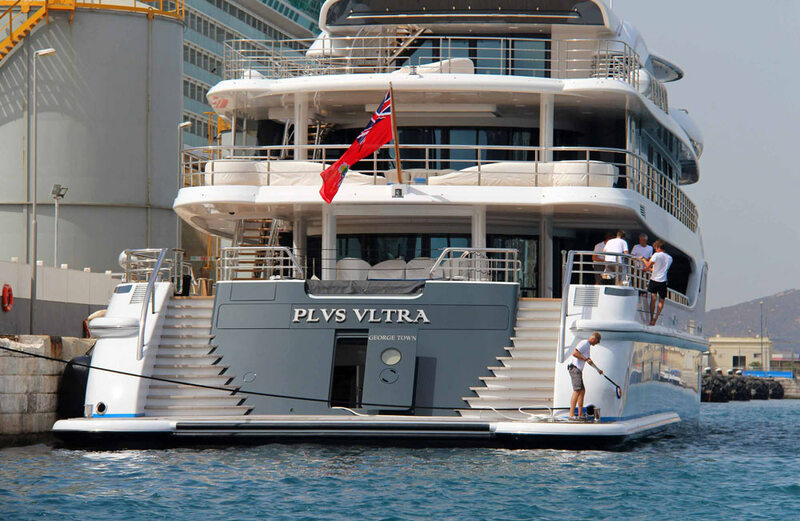 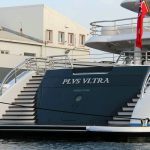 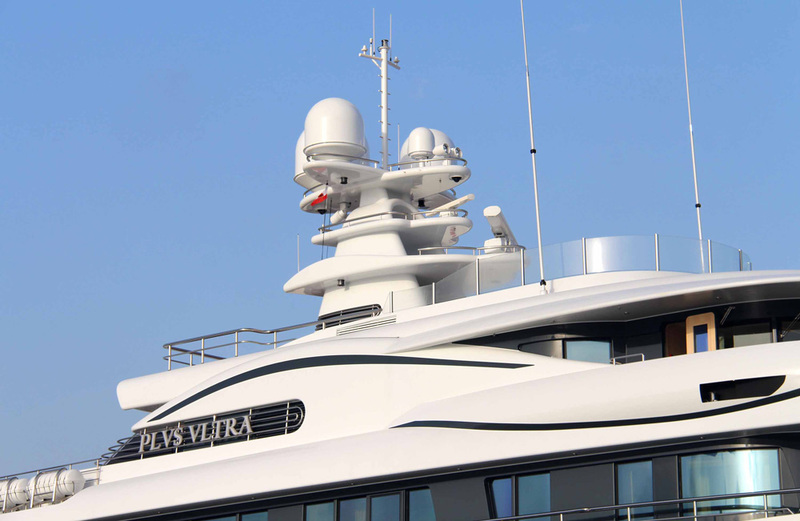 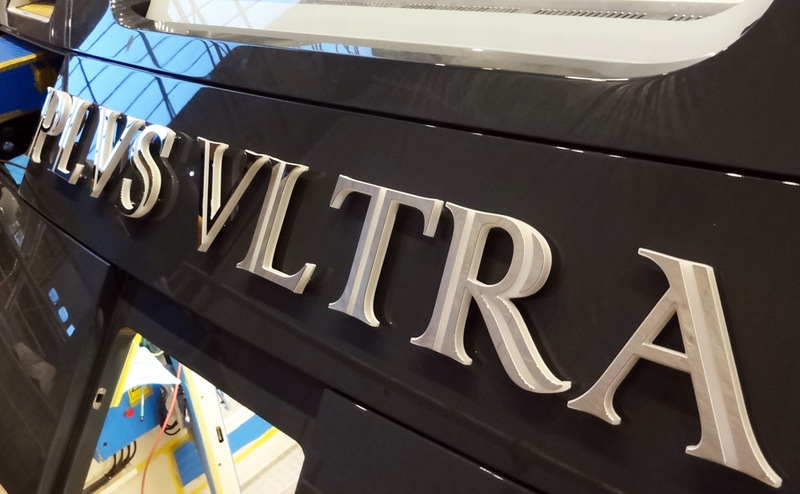 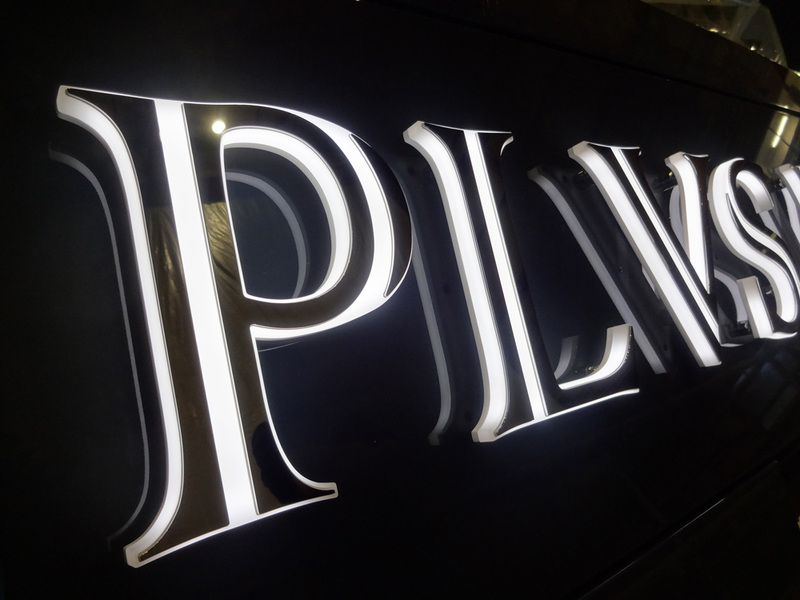 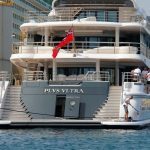 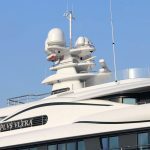 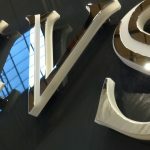 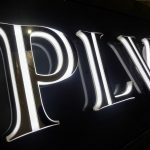 Three identical names for 73m new build ‘Plvs Vltra’. 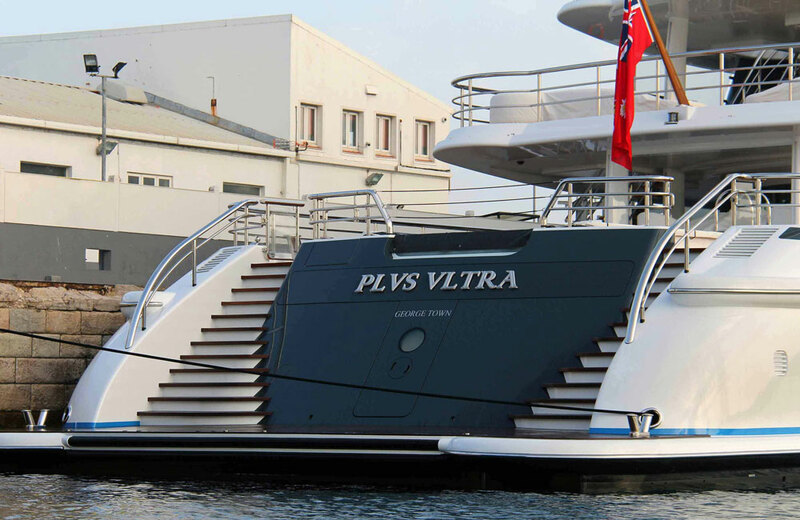 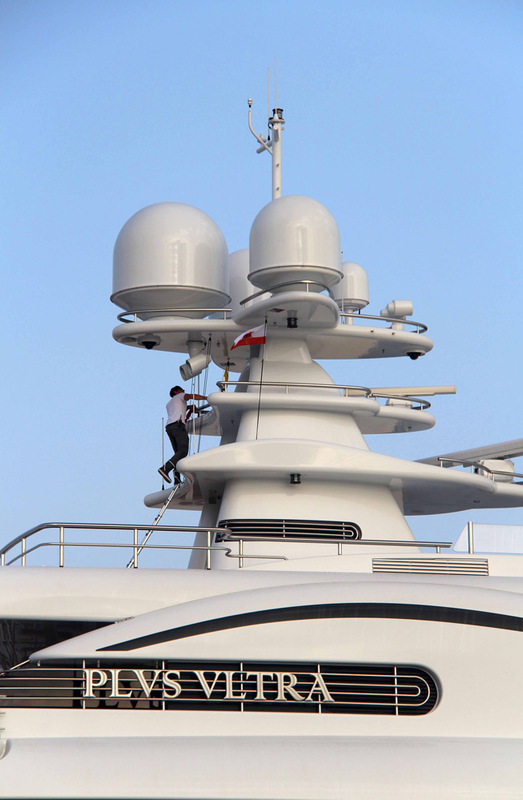 Request for Port & Starboard names to be mounted directly onto the upper deck railing system and mounted externally. 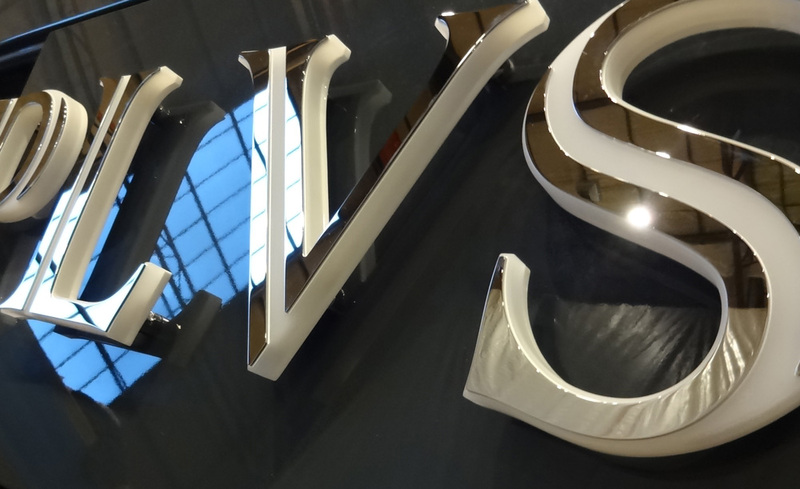 Cables were threaded through the handrail system and letters were mounted on polished stainless steel plates complete with our welded and polished custom EMS mounting system. 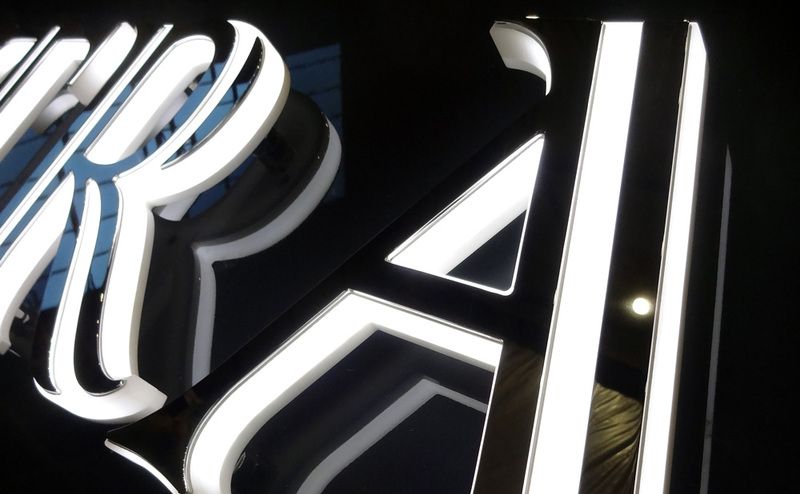 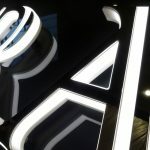 The LED illumination was required to halo and face illuminate through the slatted font without visible spotting of LEDs.